Goldilocks is so cute! While sleeping. Swimming in a pool is so cool on a hot day. Daddy Bear is really into the Sims 2. Whereas Goldilocks prefers the Sims 3 Pets. And decides to paint it. Goldilocks and Junior love science. But their experiments often cause disaster. Mommy Bear lost her skin, hurrying to fight the fire. Mommy and Daddy have got jobs. They have to take their bear suits off before going to work. But they are rarely promoted. Their bosses obviously don’t like bears. 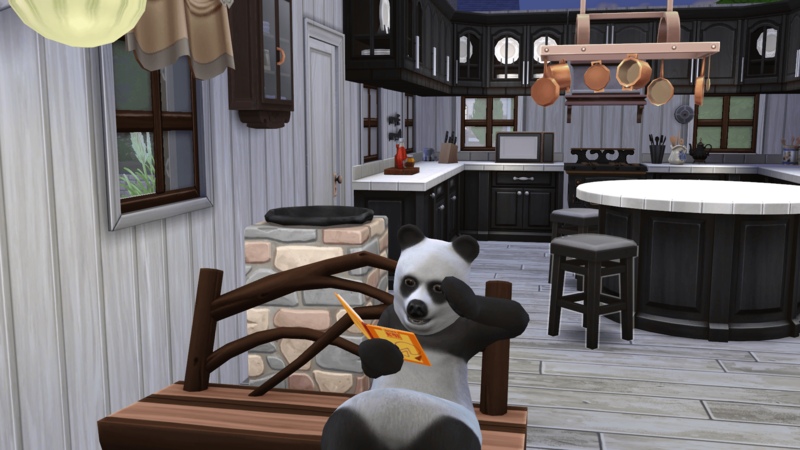 Posted on April 15, 2016 April 15, 2016 by chealsycatPosted in Goldilocks and Bears (Sim fairy tale)Tagged #Goldilocks and Bears, #Sims 4, bears, Goldilocks, Sims.